In a July 18 letter to the congregants of Birmingham’s Temple Emanu-El, Rabbi Laila Haas announced that she will be seeking other opportunities when her current contract ends next summer. “I look forward to sharing this last year together, and engaging with you in the sacred work that drives our Temple’s mission,” she said. In June, Emanu-El Senior Rabbi Jonathan Miller retired after 26 years of leading Alabama’s largest Jewish congregation. Rabbi Doug Kohn arrived at the start of July to serve as interim rabbi for the coming year, and Emanu-El Cantor Jessica Roskin is recovering from a mild stroke she suffered on July 3. A Miami Beach native, Haas joined the team at Emanu-El in 2011 after being ordained at Hebrew Union College in Cincinnati. She noted that when “Rabbi Miller brought me here to Birmingham,” he told her that she would fall in love with the community. “He was right. 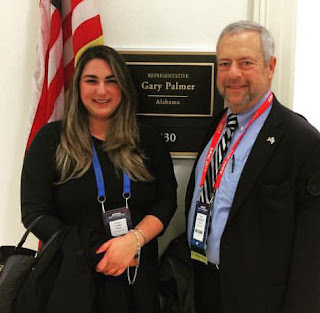 I am eternally grateful for his mentorship, his friendship and for providing the opportunities for me to grow and develop my rabbinate,” she said. Four years ago, Haas reworked Emanu-El’s preschool program, Temple Tots, renaming it the Discovery School and expanding its enrollment. “Because this synagogue trusted and supported me, I have been able to design, build and grow our schools, develop innovative programs, lead worship, teach, and take an active role in our larger community, each of which has impacted and influenced the Temple we are today,” she said.